Rich Paul, forward agent, has confirmed to Dave McMenamin that James will not travel with the rest of his teammates to continue his recovery. 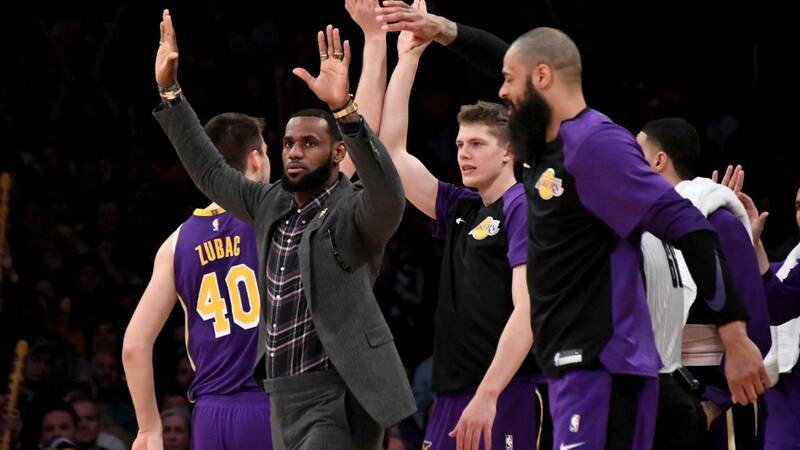 The bad omens have been confirmed: The loss of LeBron James will be prolonged further and will miss the next two games of the Los Angeles Lakers in Oklahoma and Houston, and it is doubt for the day of Martin Luther King, who will face the Angelenos with the current NBA champions, the Golden State Warriors. Rich Paul communicated it to Dave McMenamin (ESPN). The agent confirmed that the four-time MVP of the League will not travel with the rest of his teammates as he continues to recover from the groin injury he suffered on Christmas Day against the Warriors. The Lakers won that duel, but the cost is still very high: the Angels have a balance of only four victories in the eleven games without him, in which is already the longest absence of his career. In principle (and if there is no new medical part against it), LeBron will miss a total of 13 matches, tying with its highest number of duels in the dry dock in a single season (2014-15). The player, who is progressing (mid-court and passing exercises), will again be examining his ailment next Wednesday, three weeks after falling injured. The Lakers are in a complicated situation. After five consecutive years without accessing the playoffs (the longest streak in the history of the franchise), this must be the course of his return to the elite. Now, with 37 games to close the regular season, are in the eighth position of the Western Conference (the last place that gives access to the final rounds) tied with a balance 24-21 with the Utah Jazz, ninth. The Sacramento Kings, 10th, are 23-21.